We are spoiled by all the beautiful pots of flowers in the shopping centers around here. I'm confused. Why the breakdown of hours by days of the week? Aren't they all the same? After convincing Mark that I needed a serger, and then never even plugging it in for two years, I finally took a class yesterday. I was intimidated with threading it. The upper looper (which is just fun to say, by the way) is pretty easy; the lower looper, not so much. But with practice, I think this little machine will come in quite handy. So serious...but I just adore that bow in her hair. Think what the cake shop could have saved on sign writing fees with a simpler 'Open 11-10, every day! Love the serious look and the bow- very cute! Don't you ever drive by someplace at 9:05 or on Sunday just wondering if they happen to be open that late or on that day? That sign makes it easier to read for the passer by, perhaps. Today brings shuffling people to preschool, car mechanic, work, back from preschool, laundry, folding, packing, writing reports and IEP's, and caring for a sick boy. I've always thought that a serger sounded fun but have been intimidated by them as well! I hope you have fun with it. Today we are going grocery shopping--it's an exciting life I lead! You are going to love your serger. I use mine all of the time. I love the hair bow AND the very serious look. The photo needs a good caption. Yes...why the day breakdown. That is too funny. 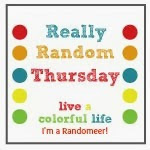 I am randomly linking up again today. 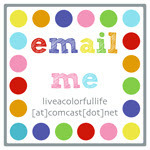 I think this is going to be one of my favorite linky parties. Thanks for hosting! Um ... "Open Everyday, 11:00am-10:00pm" ... why not say? I have only looked at sergers. Maybe I need to take a closer look. The bow is adorable and the little girl is seriously beautiful. I used to think I really needed a serger. I borrowed my mom's for about a month and never used it once. Hope you'll get more use out of yours! Ha, love the sign, and I often have thsoe WTF moments when looking at shop opening signs! I have the same overlocker, enjoy! Ooh have fun playing with the new overlocker! I keep thinking I want one but I'm not sure what I'd use it for. I think I just like sewing things. Love the bow - so sweet! I still avoid having to mess with that lower looper like the plague. Have fun bonding with your serger. 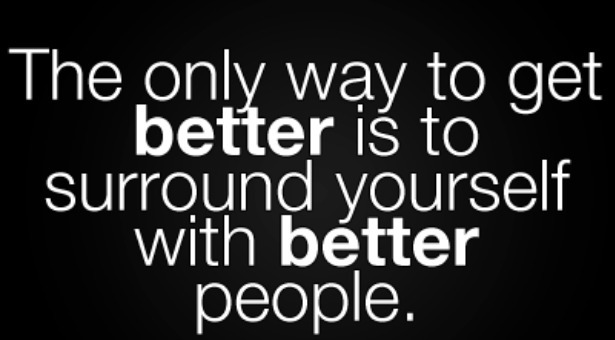 Love the "surround yourself with better people" sign. sergers scare me too! my mom has one i could steal, but i'm too lazy to try and figure it out. glad you're getting there though! My guess with the hours is that they used to have shorter hours on Friday-Saturday, and were closed on Sundays and it was cheaper just to changed the humbers as opposed to getting a whole new sign. Or its a weird local bylaw, like "illegal to walk alligator down the street on a Tuesday at noon" because in some places, there are weird little quirks like that. I have a serger I don't use much either. I'm just not very skilled with it. It does a killer rolled hem, though, which I really, really like it for! Try it! I love the better people sign. That is great.